Please refer to our stock # DK252 when inquiring. 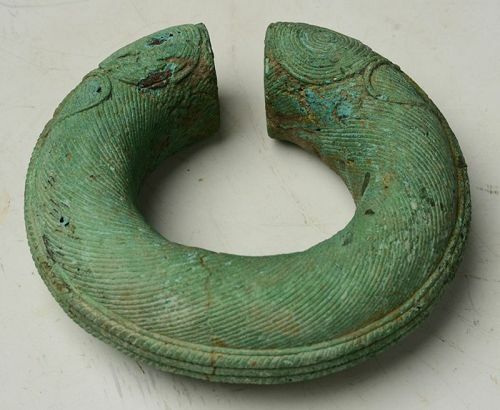 Dong Son bronze bangle with very nice green patina. Measurement: Diameter 11.2 C.M. / Thickness 3.8 C.M. Condition: Nice condition overall (some expected degradation due to its age including natural crack and chips). Please refer to the enlargement photos for more details.